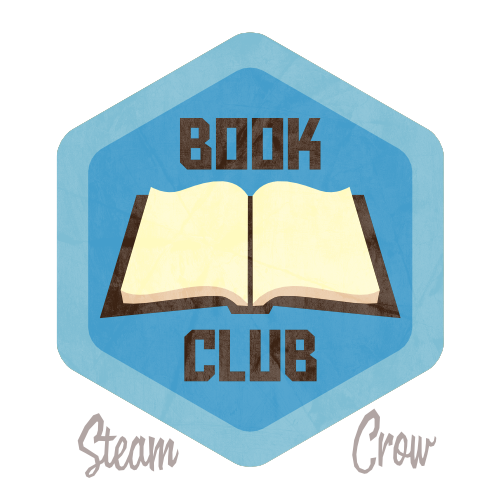 The Book Club Spirit Badge is for registered Monster Rangers who attend and participate in one of our Book Club meetings. It doesn’t stack; it’s a one-time badge. Hopefully you’ll keep attending… and reading. There is no passphrase for this particular badge, though you can always whisper “books” to other Rangers for fun and confusion. There is 1 level of the Book Club Badge. Each badge has GLORY points assigned to it. This one has a whopping 33, to get you started. Most are worth 10 points, though there are a few worth hundreds of points. The rectangular boxes symbolize paper and cardboard which in turn represent books. Share a very brief review on the forums. Add a list of books you’ve read this year, to your Rangers Journal. Personal challenges do not require formal submissions… these are for you.